Set in Golubaya Bukhta, Guest house Parus features a terrace, shared lounge and bar. Featuring on-site dining, the guest house has air-conditioned rooms with free Wi-Fi. The property offers pool views and an outdoor pool. Featuring an outdoor pool and BBQ facilities, hotel Miranda is located in Golubaya Bukhta. The property is 1 km from the beach and offers free Wi-Fi throughout. Featuring free Wi-Fi and a seasonal outdoor pool, Valentin Guesthouse offers accommodation in Golubaya Bukhta. Private parking is available on site. 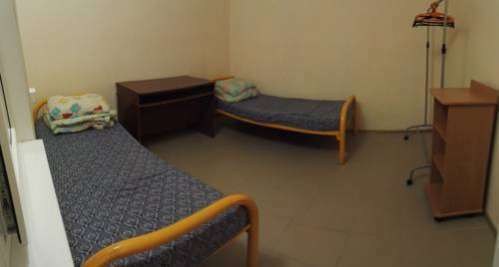 Rooms are fitted with a TV, fridge, air conditioning and private bathroom. 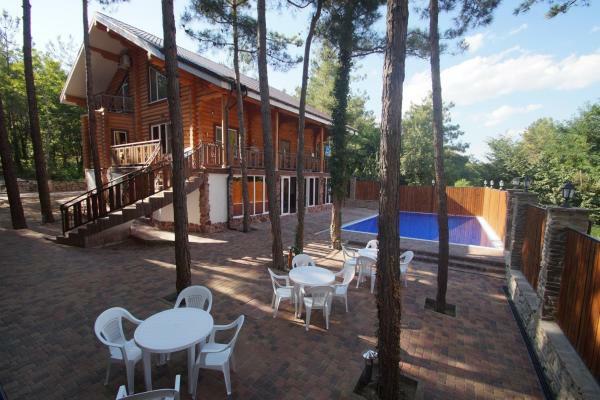 Guesthouse Viktoria has a seasonal outdoor swimming pool and barbecue facilities in Golubaya Bukhta. Featuring a 24-hour front desk, this property also provides guests with a sun terrace. Free Wi-Fi is available. Villa Gloria is located in Golubaya Bukhta, 7 km from Gelendzhik and 24 km from Novorossiysk. Every room is fitted with a flat-screen TV. Villa Gloria features free Wi-Fi . There is a 24-hour front desk at the property. Set in Golubaya Bukhta, Buzuluk Guest House provides barbecue facilities. All rooms boast a kitchen and a private bathroom. Staff on site can arrange airport transfers. At the guest house, each room has a wardrobe and a TV. 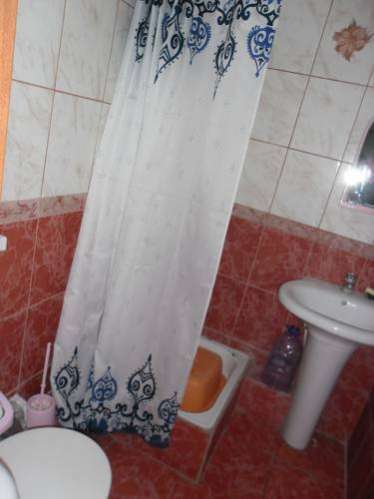 Guest House in Golubaya Bukhta is located in Golubaya Bukhta, 7 km from Gelendzhik. A flat-screen TV is offered. There is a shared kitchen at the property. 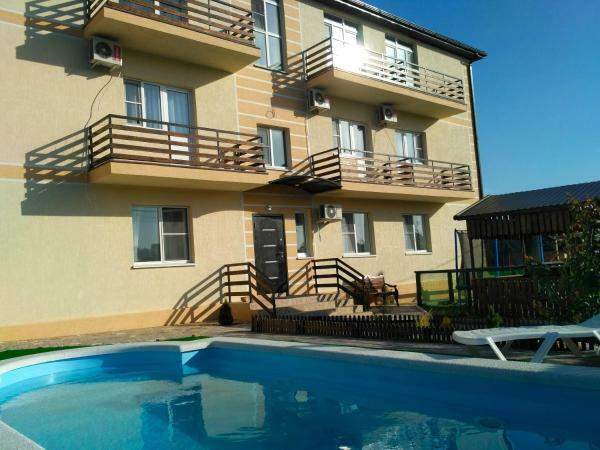 Guest House Khizhina Rybaka is set in Golubaya Bukhta, 3.9 km from Gelendzhik. Free private parking is available on site. Each room at this guest house is air conditioned and has a TV. You will find a kettle in the room. Boasting barbecue facilities, Guest house Usadba is located in Golubaya Bukhta. Featuring free shuttle service, this property also provides guests with an outdoor pool. Both free Wi-Fi and private parking are available on site. Set in Golubaya Bukhta, Mary Guest House features free Wi-Fi access and free private parking. A TV is featured. There is a 24-hour front desk at the property. Novorossiysk is 25 km from Mary Guest house, while Divnomorskoye is 13 km away. 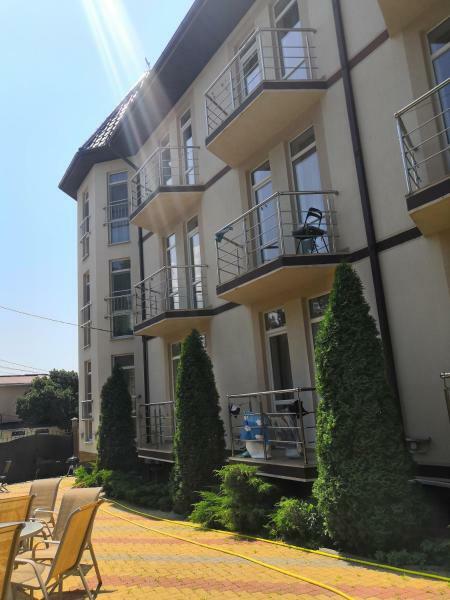 Located in Gelendzhik, 300 metres from Golubaya Bukhta beach, Golubaya Bukhta Kiparisovy boasts a barbecue and views of the garden. Rooms have a flat-screen TV. Some rooms include a seating area to relax in after a busy day. 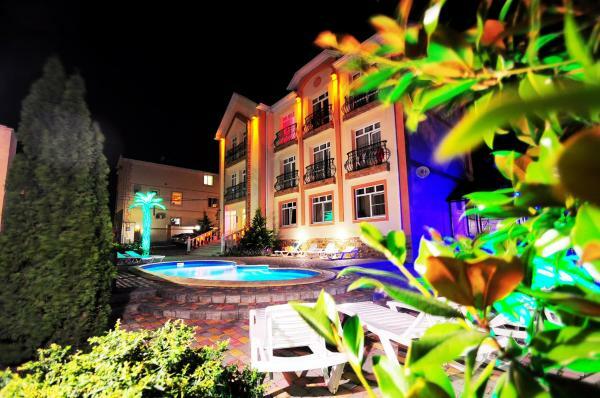 Guest House Continent is located in Gelendzhik, 8 km from Olymp entertainment park, and offers free Wi-Fi. Among the various facilities of this property are a private beach area, an outdoor swimming pool and a garden. 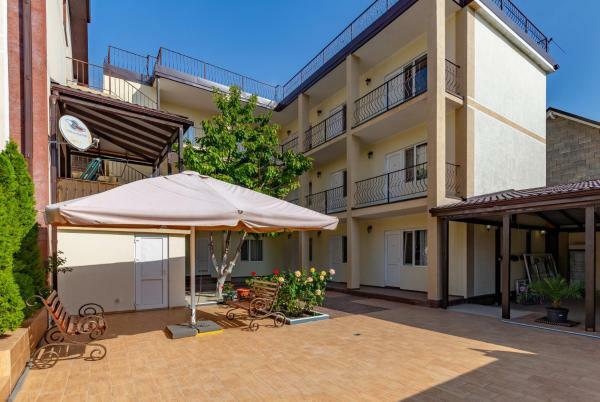 Located in Gelendzhik, 8 km from Olymp entertainment park, Guest house Afrodita provides air-conditioned accommodation and a terrace. Free Wi-Fi is available. At the guest house, rooms come with a wardrobe, a flat-screen TV and a private bathroom. Guesthouse Zolotoy Orel offers pet-friendly accommodation in Golubaya Bukhta. All rooms come with a flat-screen TV. Certain units feature views of the sea or garden. For your comfort, you will find bathrobes, slippers and a hairdryer. Set in Golubaya Bukhta, У Ларисы features a garden and a terrace. Free Wi-Fi is available. All units in У Ларисы are fitted with a TV. Gelendzhik is 7 km from У Ларисы. The nearest airport is Gelendzhik Airport, 3 km from У Ларисы.